With the busy pace of modern life, we have to constantly look for solutions to save time and multitask. Today, putting in for the evening by the fireplace under a handmade quilt with your favorite book is a thing of dreams. That being said, as with many other spheres of our lives, we can say “there’s an app for that!” Audiobook apps allow us to be wrapped up in the world of literature even in the middle of our busy schedules. You can listen to your favorite book on your way to work, at the gym, or while cleaning the kitchen. Of course, you could just download an audiobook file (a simple MP3 file, for instance) and listen to it on your phone or audio player. But a basic MP3 player or music player app can’t suggest new books based on your preferences and can’t save bookmarks. This is why the majority of people who regularly listen to audiobooks prefer special audiobook apps. One of the most popular audiobook apps – Amazon’s Audible – has more than 50 million downloads on the Google Play Store, and listeners around the globe downloaded more than 1.6 billion hours of audio using Audible in the past year. We decided to analyze the inner workings of audiobook applications like Audible to determine the challenges faced by developers to create an audiobook app similar to Audible. 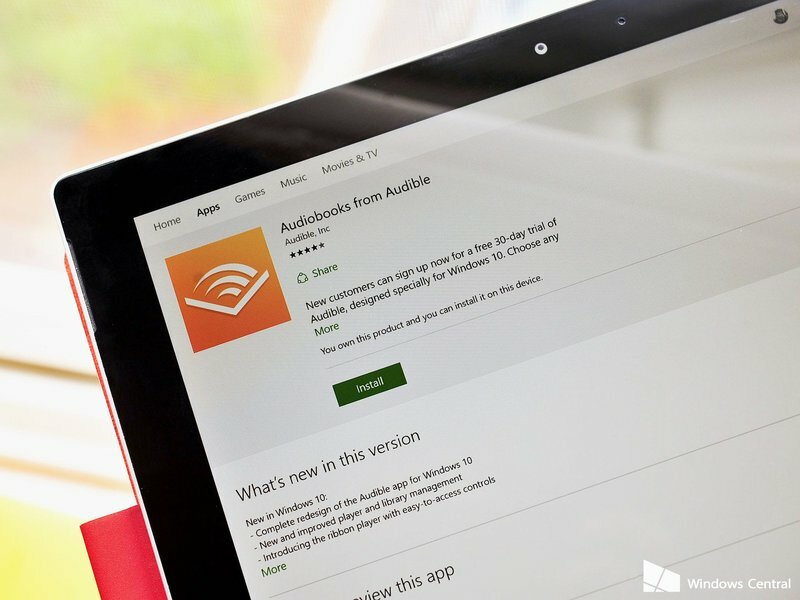 Why should you consider building an app for audiobooks? At this point, the audiobook is the fastest growing segment of the publishing industry. Many retailers have already realized that the audiobook app development is worth investing in, and publishers consider audiobooks a great way to promote their catalogs. According to one study, the audiobook industry is estimated to be worth $2.8 billion, and the number of audiobooks published is growing by leaps and bounds. For example, in 2013, about 20,000 audiobooks were released; in 2014, the number was 36,000; and in 2015, 43,000 new audiobooks hit the market. Moreover, the number of audiobooks that have been listened to has overpassed the number of ebooks that have been read; and in 2015, people downloaded about 3.88 million audiobooks but only purchased about 2.47 million ebooks. Why is the audiobook industry so hot right now? The first reason why the audiobook industry is so hot right now is the emergence of Amazon’s Audible. Audible’s offerings are shaping the whole industry. The very existence of such a convenient application for listening to audiobooks is one of the reasons why the industry as a whole has seen a dramatic increase in consumer interest and, consequently, revenues. Before Audible, listening to audiobooks meant buying CDs or downloading files to a computer and then copying them to an MP3 player or phone. 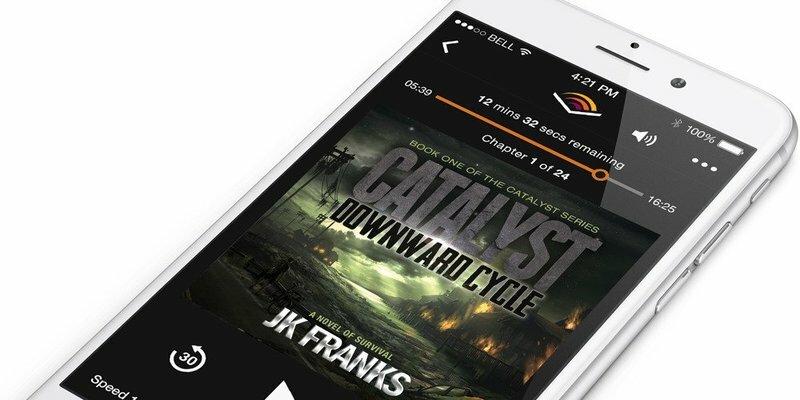 Audible has enabled users to download audiobooks directly on their mobile devices, which are always at hand. Also, another Amazon product has caused a boom in this industry – the Audiobook Creation Exchange (ACX). ACX is a marketplace for authors, narrators, publishers, and rights holders to create and exchange audiobooks. We’ll consider ACX in detail a bit later. It’s not surprising that an industry that is growing so rapidly would attract developers and investors who want to get their piece of the cake. What business model is best for an audiobook app? As we’ve said, Audible is very popular. Many bloggers, reviewers, and other internet users consider it the best app of its type. The average audiobook listener downloads 17 audiobooks per year. And as of mid-2016, Audible offered its users more than 180,000 audiobooks. 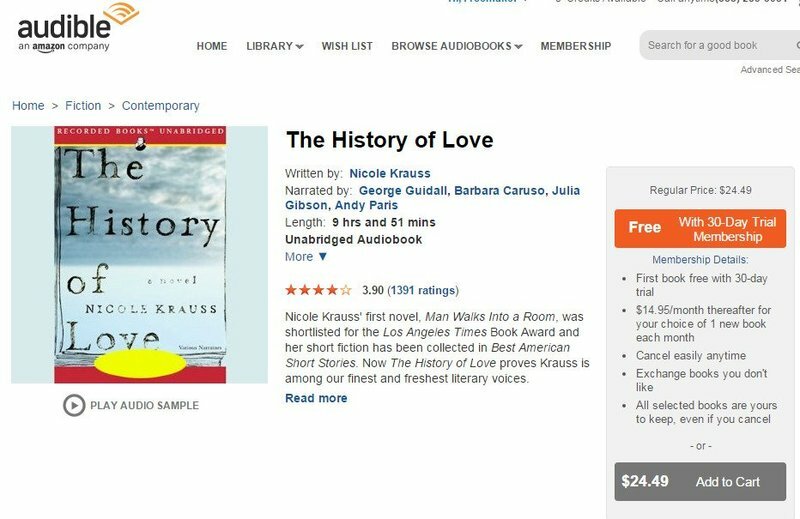 Audible charges its users a membership fee of $14.95 per month after an initial 30 day free trial, and this membership covers one free audiobook per month and gives a 30 percent discount for any additional audiobooks. You can purchase a monthly or annual plan to get access to titles available on the service. A subscription model like Audible’s seems to be the best pricing model for audiobook services today. This model has been proven not only by Audible, but also by other popular audiobook services including iTunes, Scribd, Audiobooks.com, and Downpour. Most of these services also use a similar subscription model where users pay to access one audiobook per month. But not all of the services we just mentioned used a subscription model from the very beginning. For example, Scribd initially launched an unlimited subscription plan that offered access to as many titles as you wanted. Soon, however, Scribd realized that they did not get enough profit with this model, and so they changed their subscription plan to be in line with Audible’s. Now, a monthly plan gives you access to only one title; if you want more, you need to pay more. There are also some services like Spotify that provides select audiobooks for free, and some services like Playster which, along with a regular subscription plan, offers a premium plan that gives access to all 60,000 titles in their catalog. Audible does not offer such a plan. 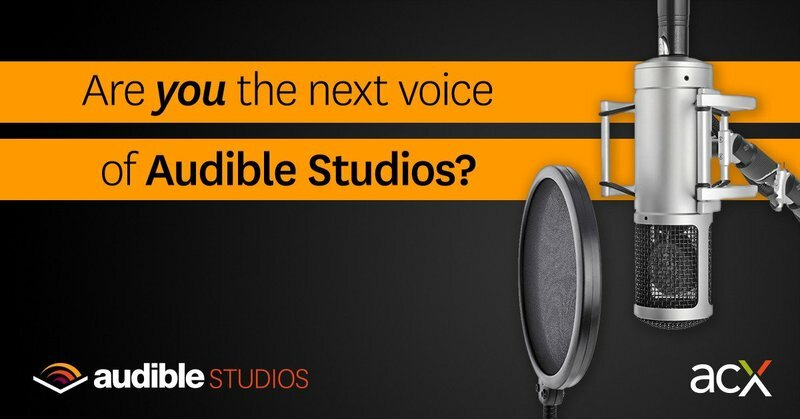 According to Audible’s general manager Ian Small, the company is currently looking for a model that can widen their audience. At the same time, they need to fix prices at rates that will satisfy rights owners. “It’s a learning process (albeit an expensive one) to figure out what does not work, and then build on what does,” Small says. How does Audible deal with right holders? For audiobooks created through ACX and sold on Audible, rights holders receive 25 percent of all sales revenue if the audiobook is not exclusive to Audible; for titles exclusively available on Audible, rights holders receive a 40 percent cut. These rates are the same as those offered by iTunes. The majority of audiobook platforms offer a flat 35 percent to right holders. But there’s one key feature that makes Audible desirable to indie publishers: Audible allows its users to share audiobooks via email, SMS, or messengers including WhatsApp and Facebook Messenger. Audible then defrays all expenses for the distribution of these titles. In other words, when a user downloads an audiobook and then sends it to others, Audible pays rights owners for each subsequent listen. This move allows independent publishers to attract a wider audience at a lower cost. Audible, Amazon, and iTunes each has a set of requirements for audiobooks they will distribute. For example, you may need to split your book’s audio files into chapters instead of submitting as one whole file; side tones or sounds might not be permitted; each file might have a maximum limit of 170 MB, and so on. If you’re ready to get your piece of the audiobook industry pie by creating your very own app, then allow us to suggest some ways to fill your app with content. 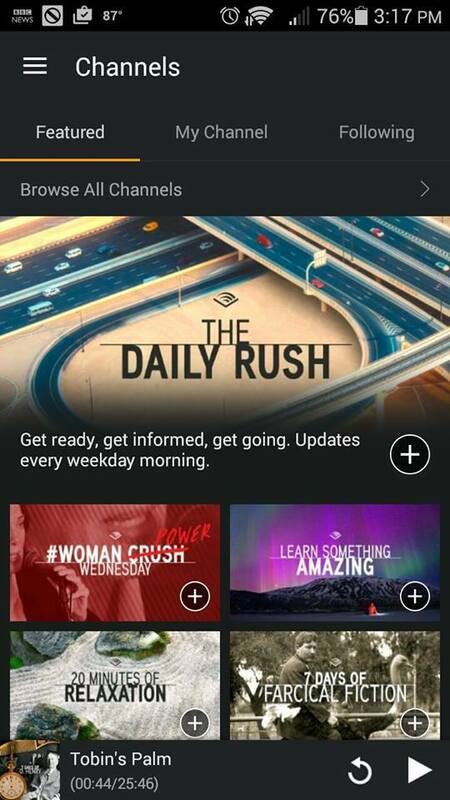 Where can you find content for your app? Of course, you can fill your app with audiobooks created by your own company if you have enough resources for that. But it takes a lot of money, time, and effort to create content this way. Instead, there are some more realistic ways to fill your app with audiobook content. We’ve already mentioned ACX – a marketplace for anyone involved in the audiobook creation process, such as authors, publishers, narrators, rights holders, etc. Rights holders for a particular book can post a job for creating an audiobook on ACX, and studios or solo narrators can search for the titles they are interested in bringing to life. Once an audiobook has been produced, publishers can then distribute their products directly from ACX to Audible, iTunes, or even their own websites or apps. Some companies don’t sell content directly to users. Instead, they provide APIs that allow retailers to access their titles and sell them on to consumers. The brightest example of this API business model is Findaway. Findaway has over 100,000 titles and deal with more than 200 publishers. Their API is used by a bunch of companies including Scribd and Playsters, both of which we mentioned above. Since the audiobook sector is hot and developing rapidly, we’re sure we’ll see many more changes and improvements soon. Just a few years ago, ebooks became a booming industry, and now audiobooks are going through a period of rapid growth as well. It’s a great time to get on board with this new trend.